A minus times a minus is equal to a plus. The reasons for this, we need not discuss. I was looking over my checking account transactions for the past year and saw a mysterious $12.95 charge from “CIC*Triple Advantage 877-48168″ appearing once a month. A search quickly showed that I’d been had by FreeCreditReport.com. When you order your free report here, you will begin your free trial membership in Triple AdvantageSM Credit Monitoring. If you don’t cancel your membership within the 7-day trial period†, you will be billed $14.95 for each month that you continue your membership. That’s right, they sign you up for a free trial of a monthly service which you must opt-out of after 30 days. They do their best not to tell you that they’ve signed you up. Looking back in my checking account, I found 16 months * $12.95/month = $207.20 in charges. Thanks to help from this discussion, I was eventually able to get this refunded in its entirety. Read more for details. I plugged in my cross streets on the San Francisco Library’s digital photo archive and found this picture. The image is mislabeled. 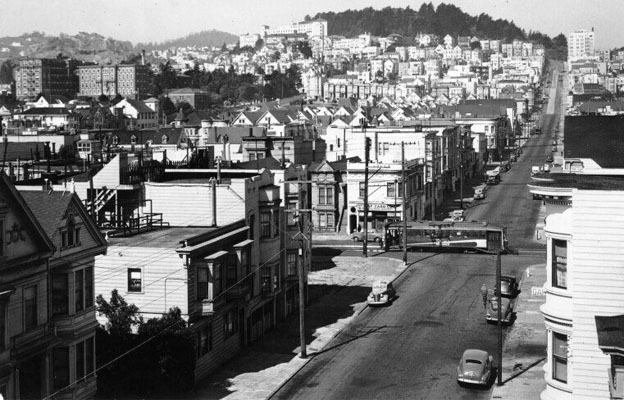 The street in the foreground is actually Fillmore, not Webster. Which means that this photo, from 1945, was taken from my roof! 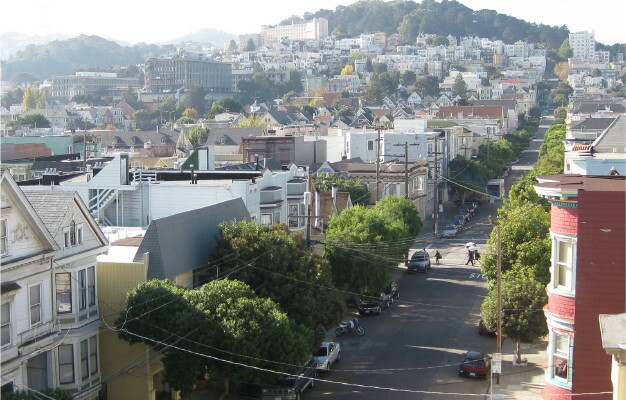 There are more trees now, more cars and more power lines, but one less cable car. But the coolest difference is only noticeable if you look at the tall building in the upper right. It hasn't shrunk. No, the trees in Buena Vista Park have grown!